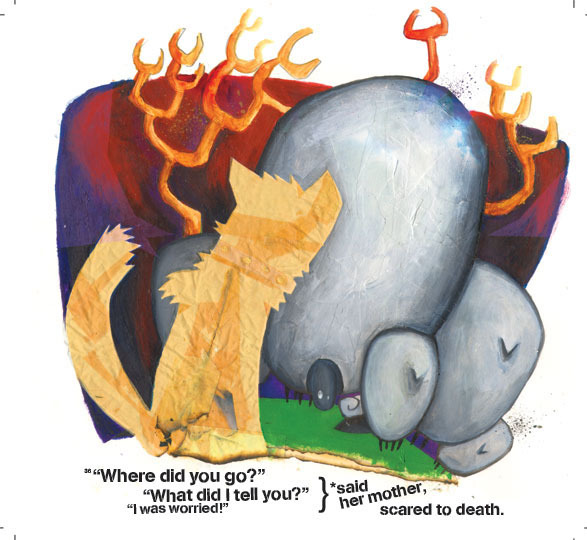 This was the second book I've done by me, I created the story and painted by hand. 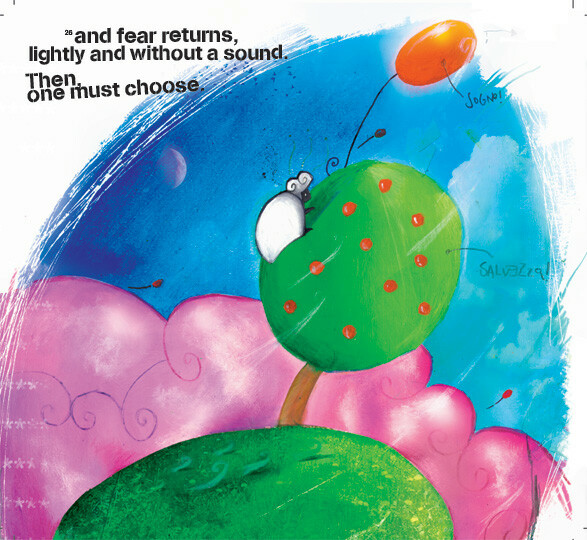 one simpler understandable for small children, and one huge for the big brothers. 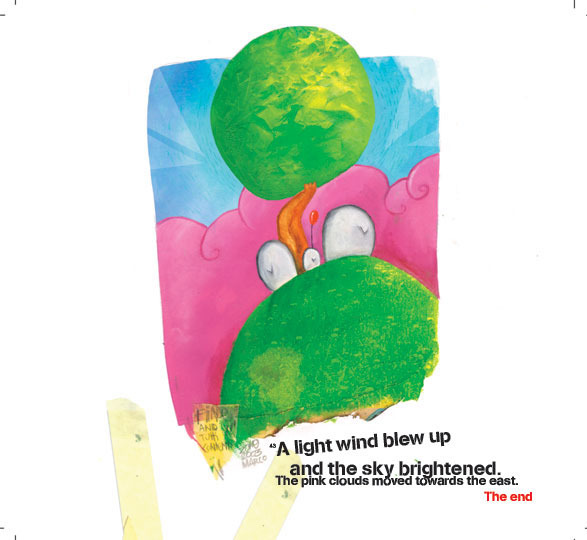 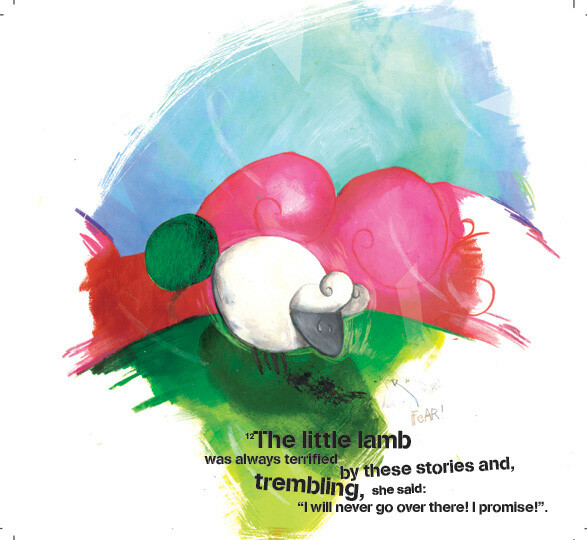 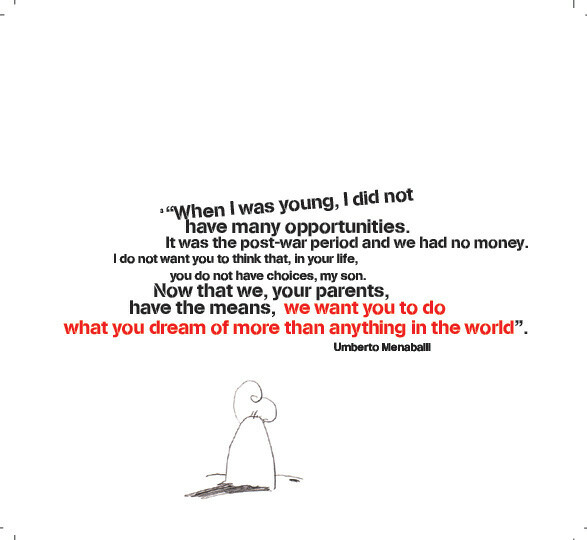 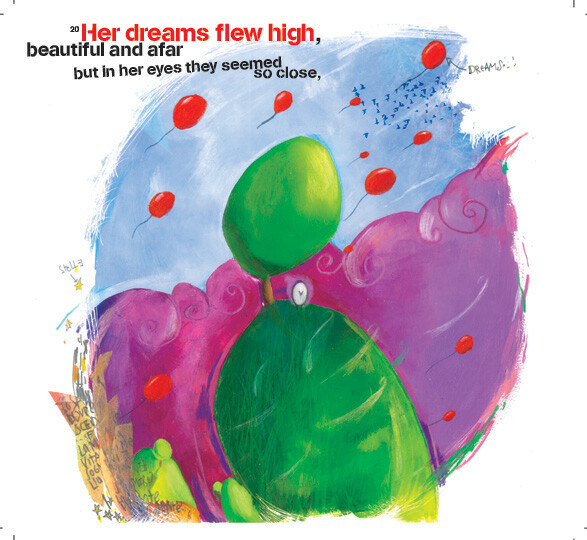 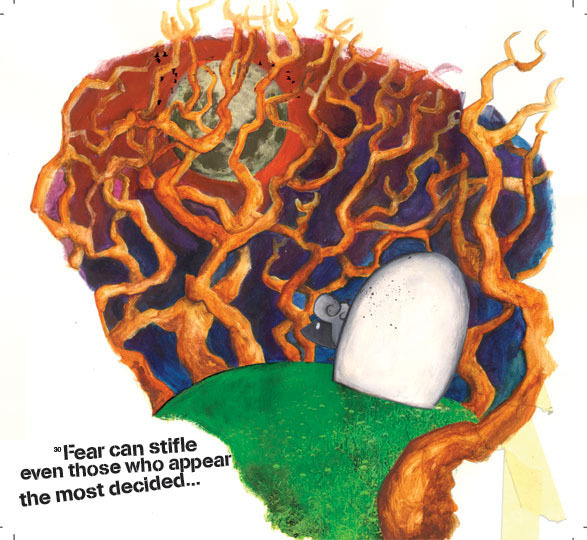 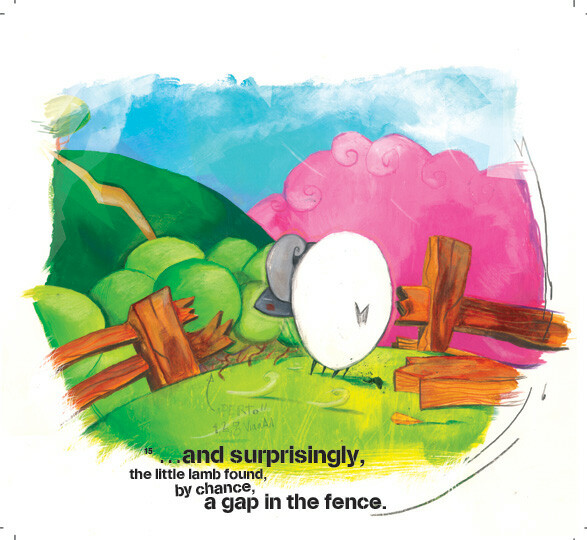 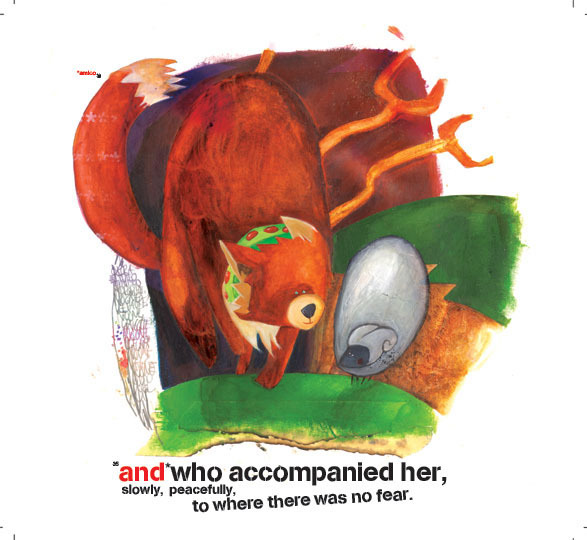 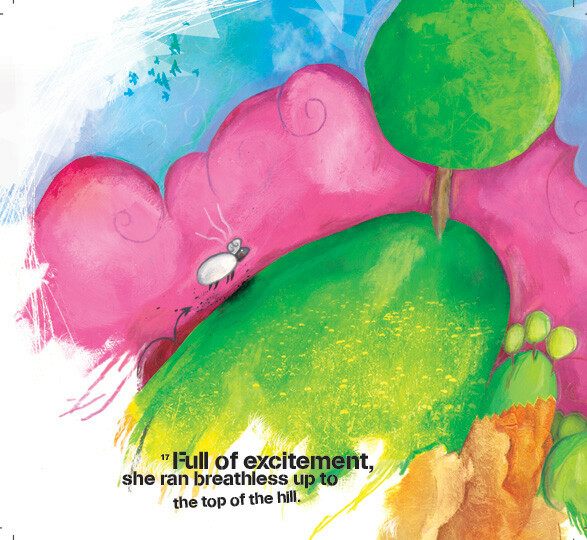 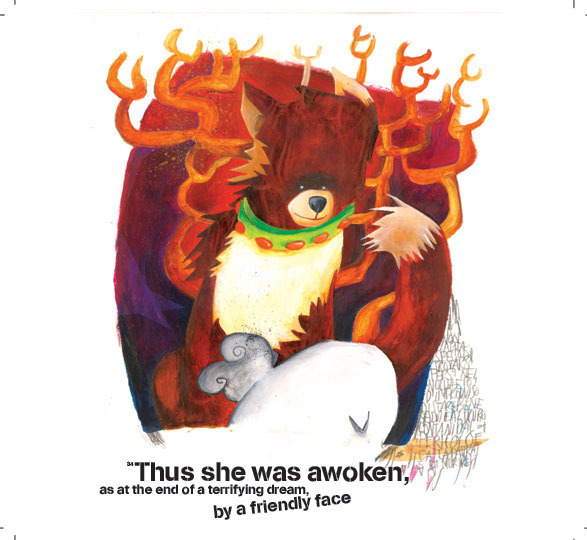 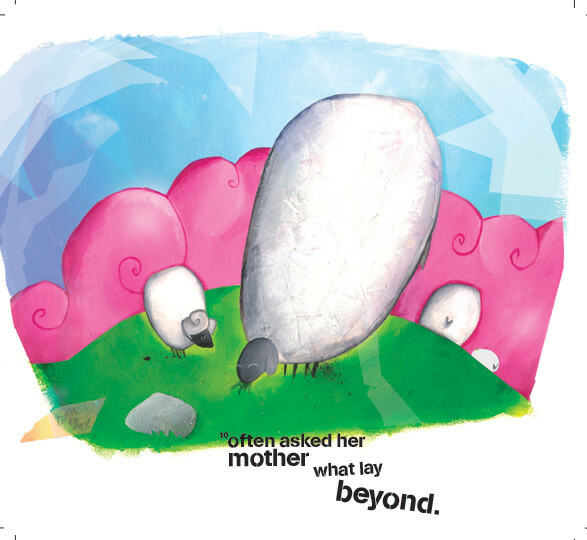 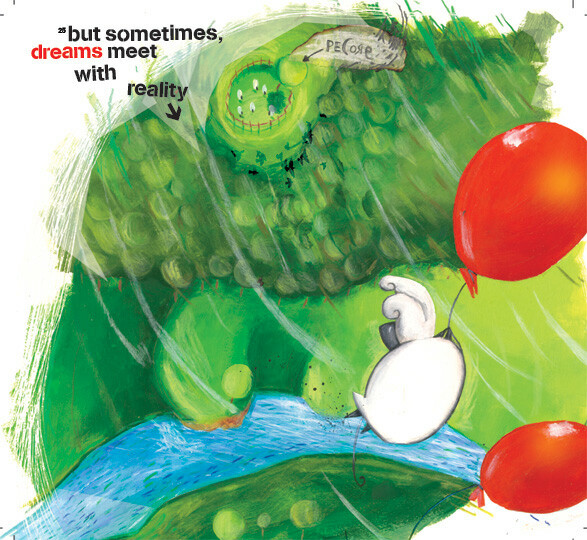 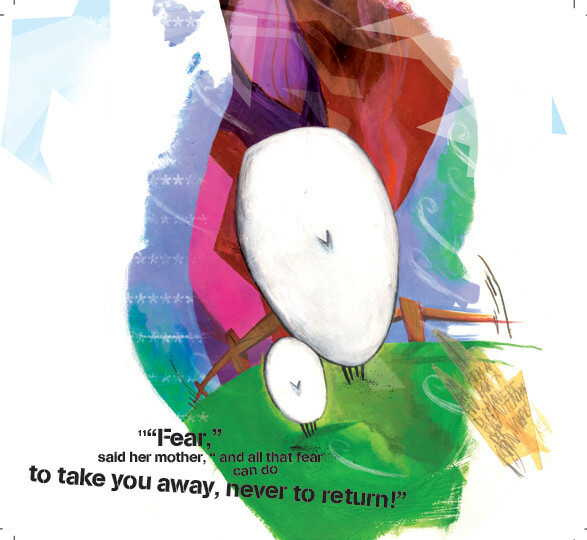 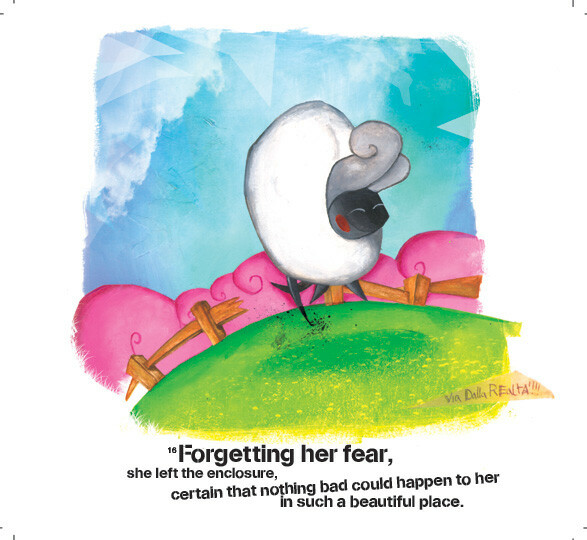 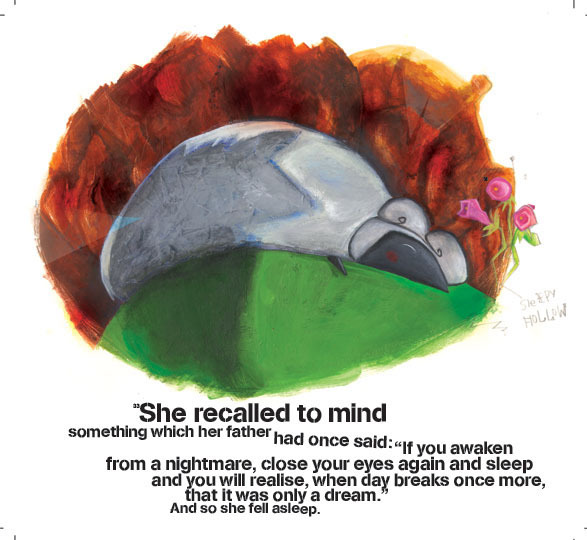 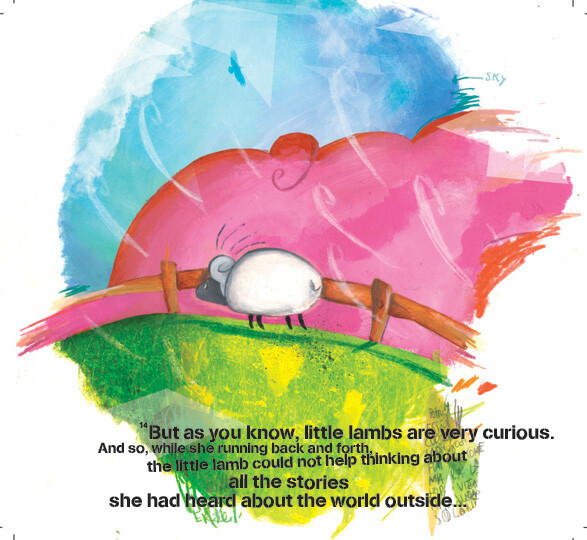 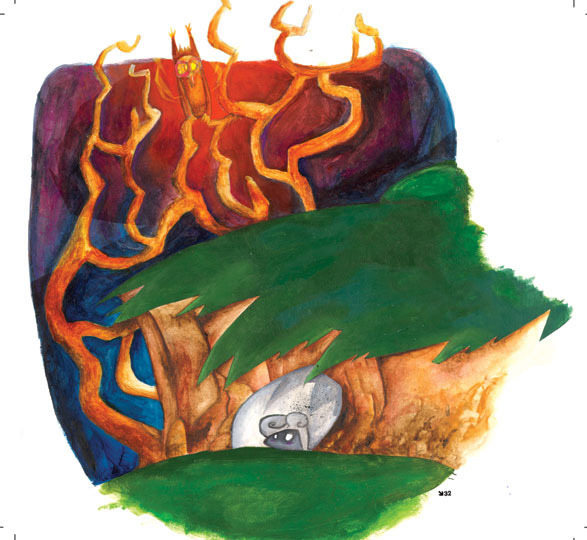 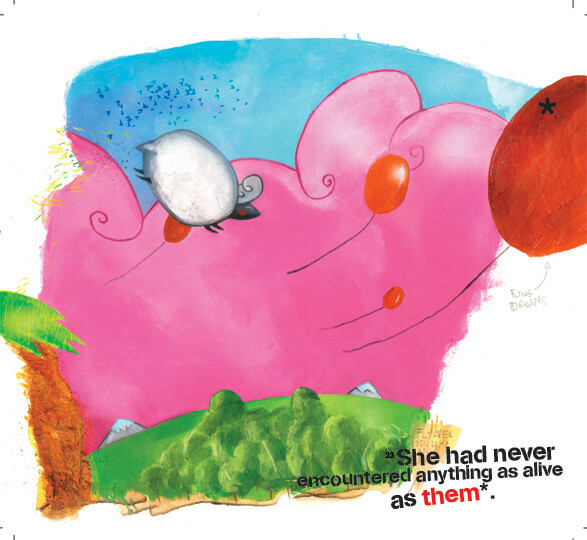 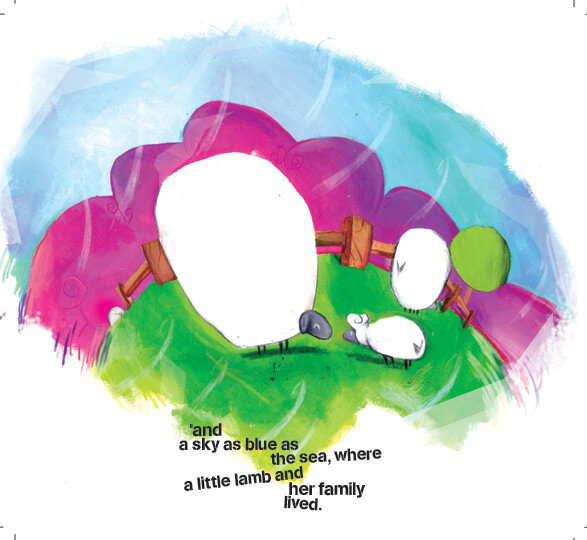 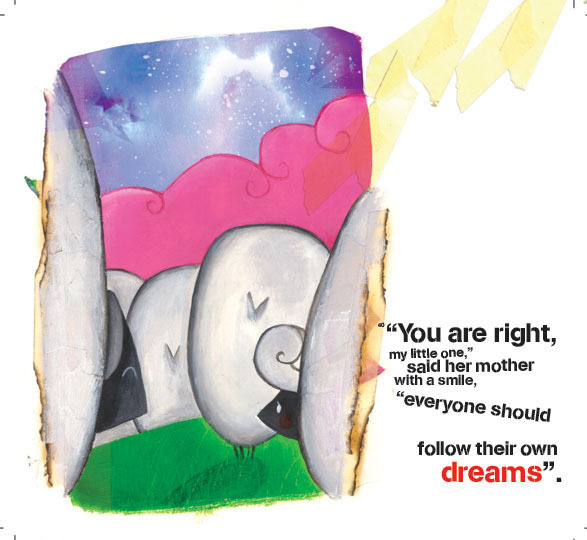 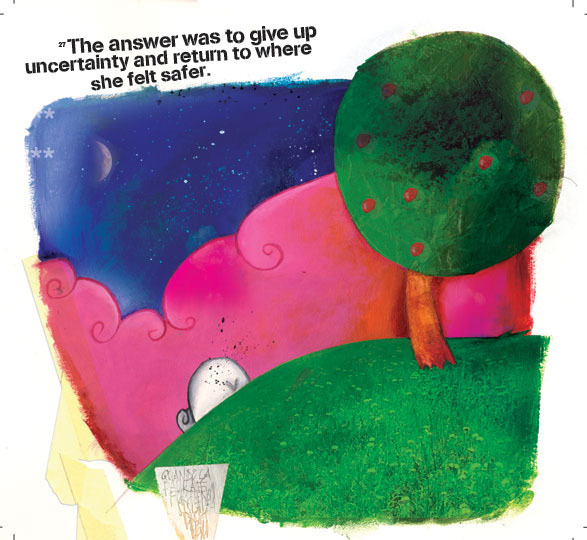 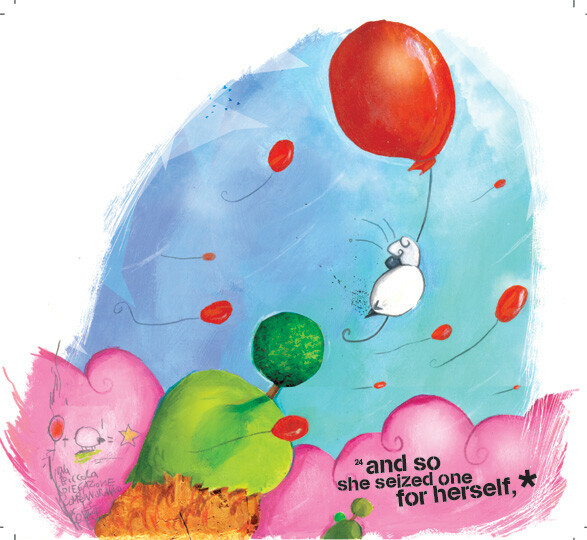 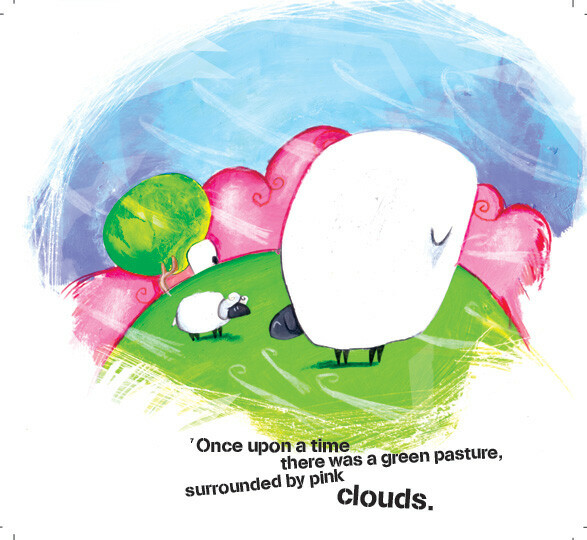 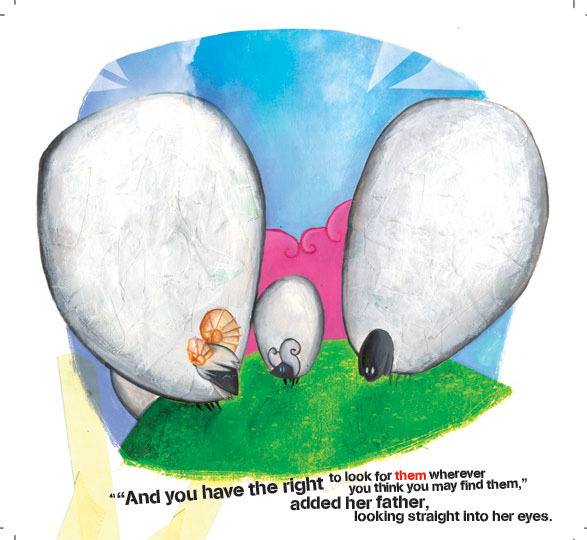 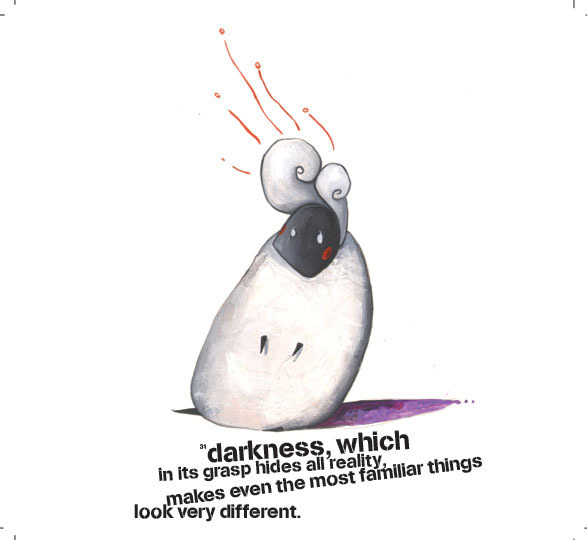 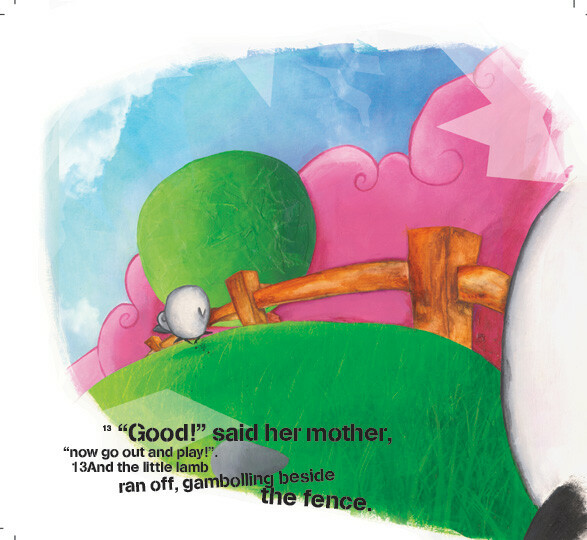 The story is about a sheep who run away from her parents outside the garden and face the world following her dreams. 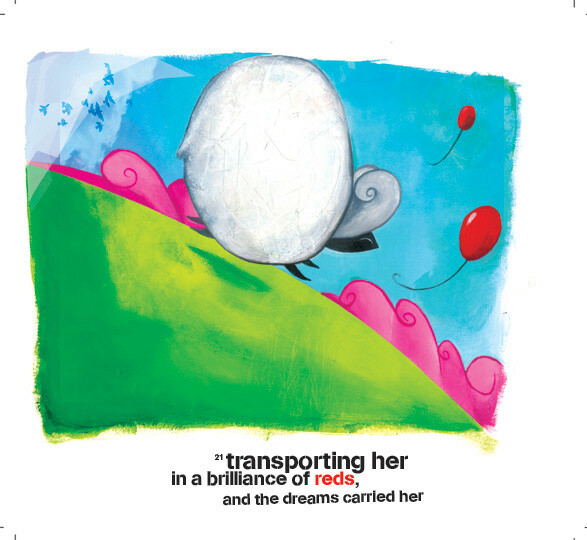 once she lived her quest of following her red dreams, she came back to her parents finding what she loves next her. 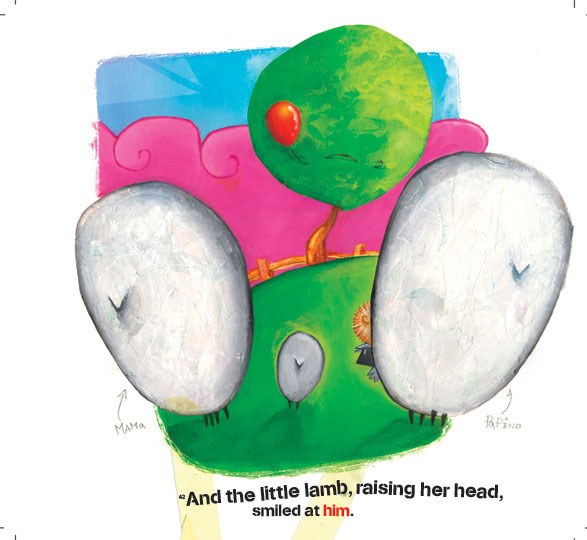 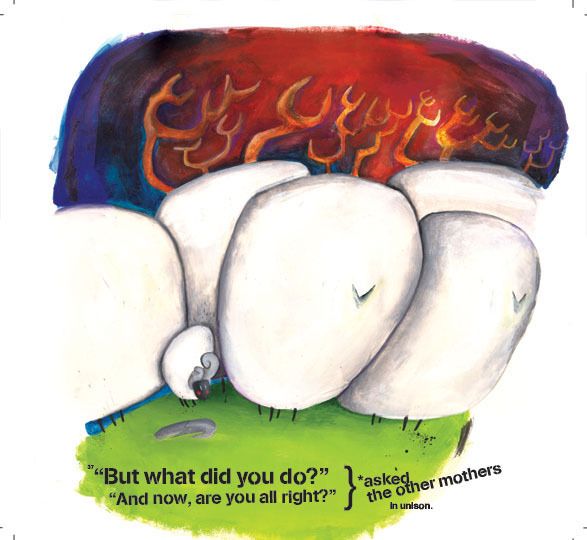 When I was putting a question about how good was what the sheep has done to the small children during the book presentation, it was amazing how they reacted in different ways. 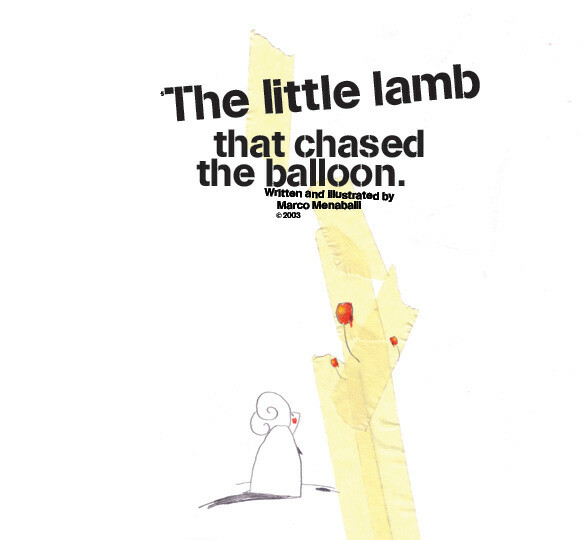 Someone thrusting the sheep, someone not; but the coolest thing was that nobody disagreed about the vital importance of following your dreams.